Each essential oil has its own energetic signature. Rosemary is for both remembrance and creativity. 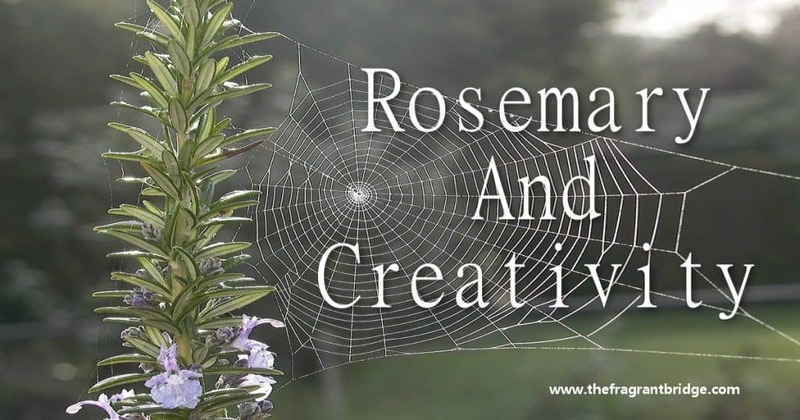 The above quote by Madeleine L’Engle illustrates the creativity aspect of rosemary. We are all born creative although some people think only of artists, writers, singers, sculptors and film makers as creative but everyone is creative. Each and every moment you are creating your life and you show your creativity in a multitude of ways. The meals you prepare, the way you raise your children, the career you have and the energy you put into it, the clothes you wear, the furniture you choose for your house or apartment, the garden you plant and the way you communicate with others. Some people think or say they are not creative but they show their creativity in many other ways in addition to the above. It may be in the way you blend your oils, arrange flowers, soothe an angry person or help someone see the way to heal themselves. People may comment on your creativity or ability in a certain area but you may not see it because it seems so natural to you. The other aspect of rosemary is remembering not only those who have died or otherwise left you, events from the past or facts but also your true self which may have gotten lost in your day to day living. 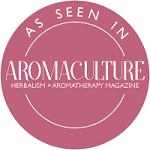 You can use rosemary in a diffuser, an inhaler or as part of a massage or anointing blend. This entry was posted in Essential Oils and tagged creativity, remembrance, rosemary essential oil on August 21, 2015 by Carole Hodges. 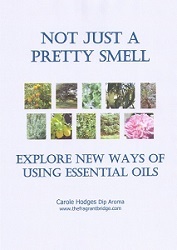 There are many different ways you can use essential oils. Here are four of them. 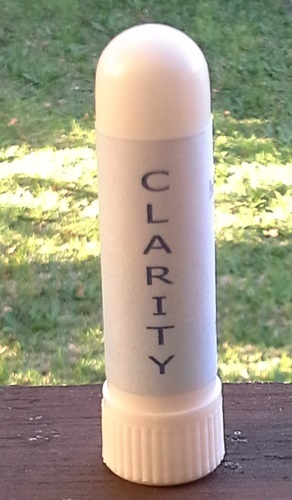 Direct Inhalation – This is one of the easiest ways to experience essential oils. Simply open the bottle and sniff. You can also put one or two drops on a handkerchief or tissue. Alternatively put a few cotton balls into a small bottle such as a used essential oil or tablet bottle add 2 or 3 drops of essential oil, close the bottle. When you need to smell the essential oil simply open the bottle and sniff. The aroma will last a long time. This is useful for people with anxiety who may use a particular oil to calm them down. Or add up to 15 drops of your favourite blend to a personal inhaler. Steam Inhalation – Fill a bowl with hot water; add 3 or 4 drops of essential oil. Place a towel over your head, close your eyes and with your head above the water breathe in the steam. Be careful to have the bowl on a flat surface. Also make sure there aren’t any young children nearby. This is very effective for treating colds and flu. Add 6 to 8 drops to half a cup of full fat milk and then add that to the bath water and swish the water around before getting in. By adding the milk you help the oils disperse through the water instead of sitting on top. Be careful which oils you use. Oils like lavender, geranium, chamomile and ylang ylang are fine but you may regret adding ginger, nutmeg or any of the hot stimulating oils. Massage is a very enjoyable way to experience the essential oils. Use 10 to 12 drops in 25 mls of cold pressed vegetable oil. For sensitive skin 5 to 7 drops is enough. Massage is wonderful for relieving muscle aches and pains, stress, and nervous tension. It can also help to ease the muscle cramps of PMS. Make your own unique perfume by adding up to 7 drops of essential oil to 10mls of jojoba or a cold pressed vegetable oil. Alternatively rose, jasmine or neroli essential oils in 2 or 3% jojoba can be applied straight to the skin. 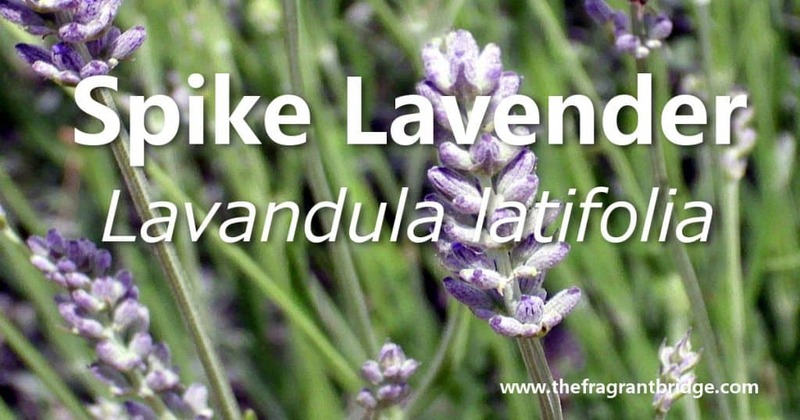 This entry was posted in Essential Oils and tagged bath, inhalation, massage, perfume, steam inhalation, waysto use essential oils on August 5, 2015 by Carole Hodges.